Most people who have never seen any Z scale models often don't realise how small Z scale is in comparison to other modelling scales. But it is not only set apart from the larger modelling scales and gauges by its diminutive size, but also by a number of idiosyncrasies which have characterized Z Scale for most of the first 40 years of its existence. 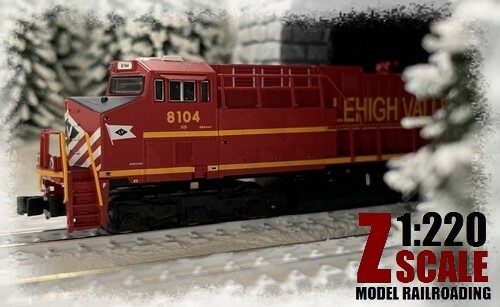 First and foremost, Z Scale remained a single manufacturer product for a very long time. Introduced by the well known and long established toy and model trains maker Märklin of Germany in 1972 as the company's very own answer to N scale (introduced in 1960 by Arnold, another German company), it was straightforwardly born out of Märklin's aim and goal to have its own exclusive model railway range. "Exclusive" was a key element not only in the launch (with a complete range covering track, rolling stock, structures and accessories all provided by Märklin) but also in the subsequent marketing of what was now the smallest model railway system in the world. Accordingly, Märklin has always emphasized the smallness far more than the option to model more or differently in less space. 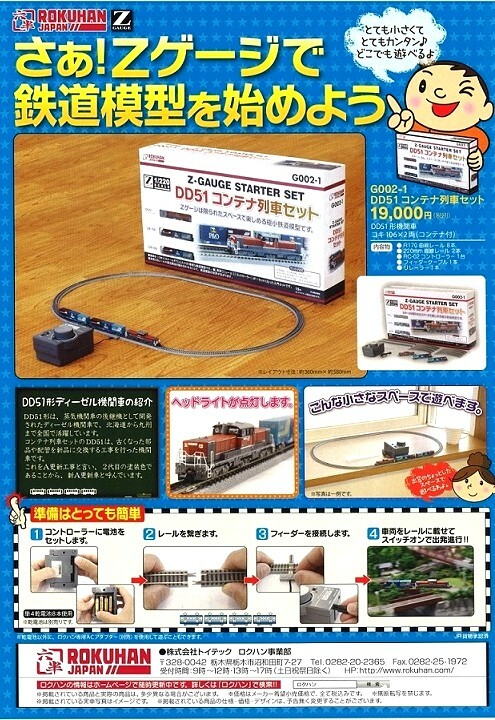 Interestingly enough, this became "opens up totally new possibilities for playing with an electric train in the smallest possible space" in the 1988/90 edition of same catalogue. "Connoisseurs appreciate Märklin Z as much as the most inveterate modeler: The charm of these finely constructed gems is best seen in the smallest of space." 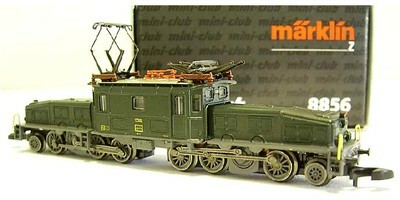 Based on this line of thought Märklin originally identified Z Scale with the brand "mini-club", and being a part of this club suggested something far beyond just railway modelling. 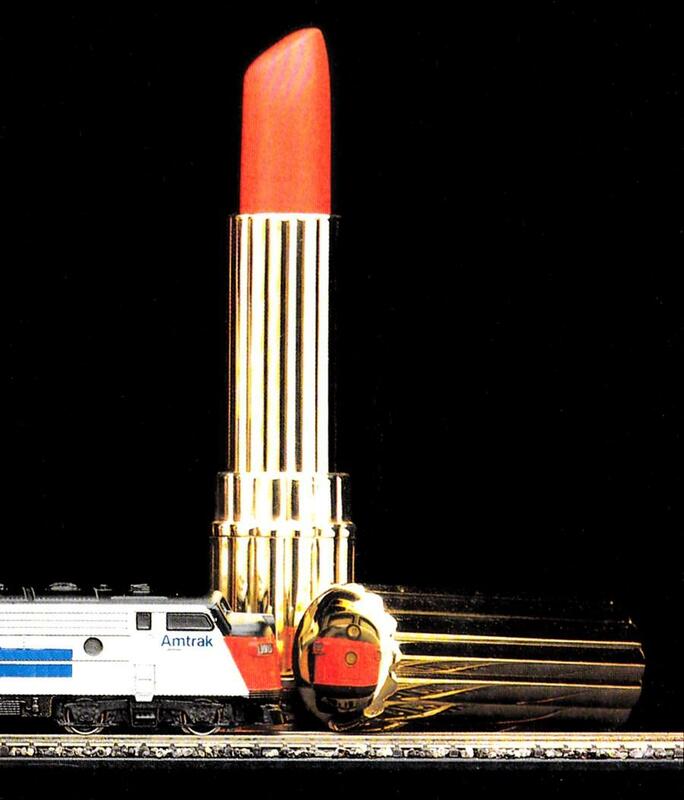 Märklin's public relations department built up the club image to the point where dedicated annual Z Scale catalogues in the mid- to late 1980s would associate the range and brand with visuals of a high end lifestyle and a general aura of distinguished collectability. Märklin essentially introduced Z Scale - rather than going into the N Scale market (something the company did actually contemplate for a time) - because they wanted more control of the market - and producing something unique is, of course, the best way to achieve this. 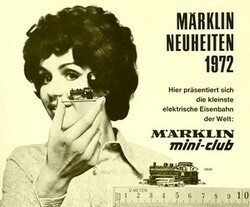 In addition, Z Scale was and still is regularly branded by Märklin as "nur für Erwachsene" (for adults only) long before consumer protection laws required the notice SMALL PARTS - THIS IS NOT A TOY, thus emphasizing the technical aspects which can be summarized as "advanced miniature technology". With regard to European rail prototypes and the European market, Märklin (who introdcued their first non-German Z scale locomotive, the Swiss "Crocodile", in 1979) has pretty much managed to preserve its exclusive standing for Z Scale right to this day. In spite of a few small enterprises offering accessories and even rolling stock, there is no serious challenge to Märklin's market dominance to speak of. Whilst this has clearly prevented Z Scale from becoming as popular and widespread as N Scale and forced it to remain a niche interest, it has preserved the dominant control of the market which Märklin had strived for when introducing Z Scale. With regard to North American rail prototypes and the North American market, however, the story of Z Scale followed a decidedly different course of events. Märklin launched its new Z Scale at the 1972 Nuremberg Toy Fair, which essentially aimed the product at Märklin's traditional and fairly large home market. Accordingly, the initial range only featured German prototype models for years before Märklin introduced its first foreign model, the iconic Swiss "crocodile" electric, in 1979. However, such models remained an exception (even though Märklin did eventually produce a limited range of Swiss models by the mid-1980s), and there were thus no signs of Z Scale truly widening its scope of prototype beyond Germany. There are no publicly available sources to show whether or not Märklin was planning to expand its range to US prototype models by the late 1970s, but factual production and marketing policies over the first few years of Z Scale's existence did certainly not suggest such a move at all. Everything seemed to clearly point to Z Scale as being in the proverbial situation where if you wanted something else then you would need to do it yourself. An individual well placed to do just that was Nelson Gray, who had started to make molds and dies for his own 00 scale model railroading needs whilst still at High School in the mid-1930s. 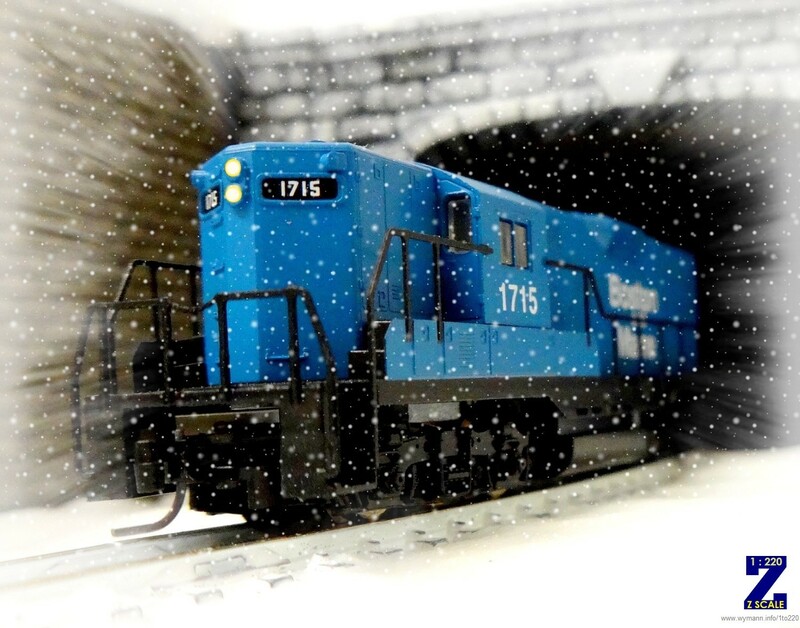 Building on his long experience, he began to work on some Z Scale items and eventually, in 1978, offered a range of highly detailed freight cars and an F7A diesel as motive power out of his small workshop in Syracuse, NY. Keith Edwards from Kadee made the decision to acquire the complete line of Z molds from Nelson Gray around 1982, and the first Z Scale release using this tooling hit the market in late 1984, including an F7A diesel locomotive (initially in Pennsylvania and Western Pacific colours), a 40' gondola, a 40' flat car, a 40' wood-sheathed box car, a bulk-end flat car, a 40' livestock car, a 50' rib-side boxcar and a center-cupola caboose. 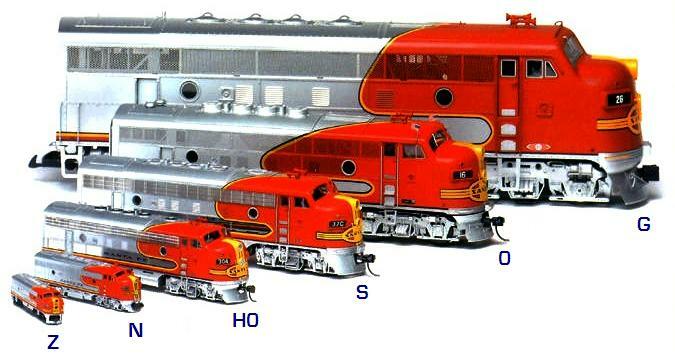 Again, Märklin has never disclosed just how exactly its decision came about to include US models in its Z Scale range. There seems to be a popular view that this was entirely provoked by Micro-Trains' (still operating under the name of Kadee at that time) Z Scale production plans, but the timing of these two market entries would not seem to substantiate this. Whilst it can't be ruled out that the presence of Micro-Trains helped speed up Märklin's launch of US models in Z Scale, their usual planning process would suggest that Märklin had launched the development phase for their American Z Scale around 1981. Märklin thus not only entered the US market pretty much alongside Kadee/Micro-Trains in 1984, but they also did so with the very same model - the F7A diesel, available in three different paint schemes: Amtrak, Santa Fe Red Warbonnet and Southern Pacific Black Widow. These were accompanied by a 50' box car, a 45' gondola and a Santa Fe style caboose. Where Märklin did manage to set itself apart from Micro-Trains was with the launch of no less than six different body style passenger cars in AMTRAK livery to go with the F7: baggage, coach, diner, sleeper, dome and observation. For Märklin, the choice of protype made historical sense as it had been the same model - the F7A - which the company had used to get a (very limited) foothold in the American HO market in 1961/62. This first batch of models was followed in late 1984 by a Chessie freight train set which consisted of a Chessie F7 with three matching blue boxcars (lettered for the Chessie railroads C&O, B&O, and WM) and a yellow caboose. However, Märklin's production and distribution policy remained as much a black box as it had always been. Nevertheless, following a long period of non-existence in Z Scale, US prototype modelling was suddenly there with a bang, and in April 1985 Model Railroader announced that "Z Scale has arrived!" 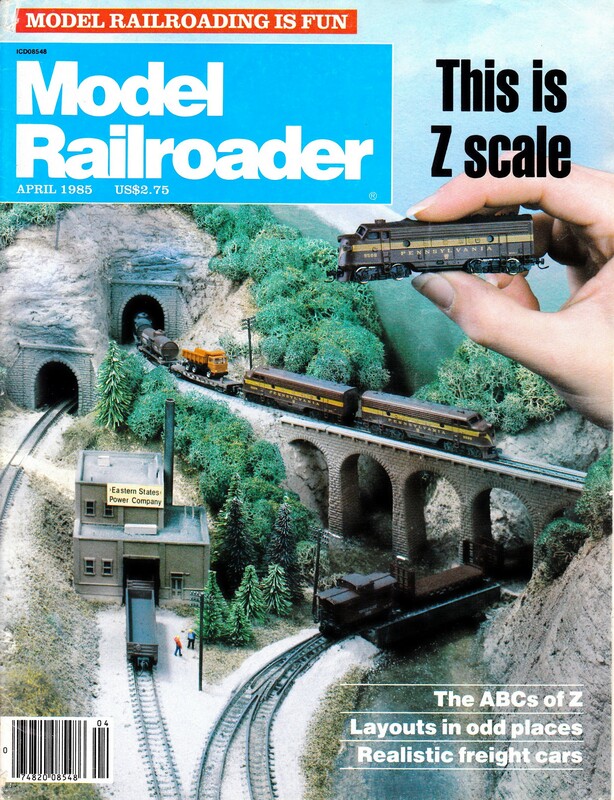 - which not only was the title of that issue's editorial but also the general tone set by an in-depth introduction to the scale ("Some ABCs of Z Scale") and a staff layout project. Editor Russ Larson expressed his view that 1985 marked the real beginning of Z Scale as a major modelling scale in North America. This pronounced enthusiasm was mirrored in the layout project, aimed at showing just what could be done in Z scale in how little space, and the Pennsylvania & Pacific certainly packed a lot of model railroading and inspirational allure into a mere 2'x3' (60x90cm). 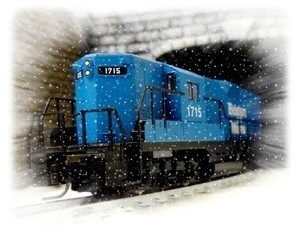 The momentum was there, but the promises for the future evoked by Model Railroader did not match up well with the fact that no major new manufacturers stepped into the scale. 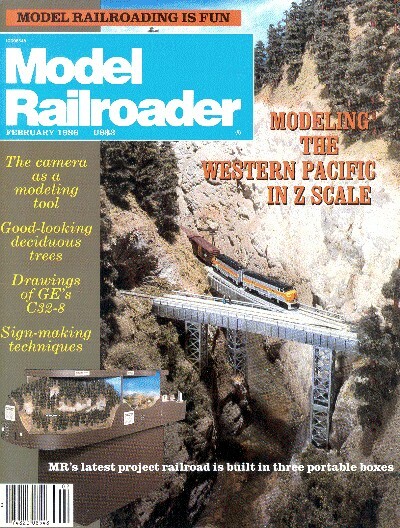 Model Railroader highlighted Z Scale for a second time in its February and March 1986 issues, this time with a larger size modular layout based on the Western Pacific's Feather Canyon route, but the fact that Kadee/Micro-Trains and Märklin were still the sole major suppliers said it all, and the fact that the F7 remained the only ready to run motive power available now made Z appear as what it was - a niche - rather than what it could be. 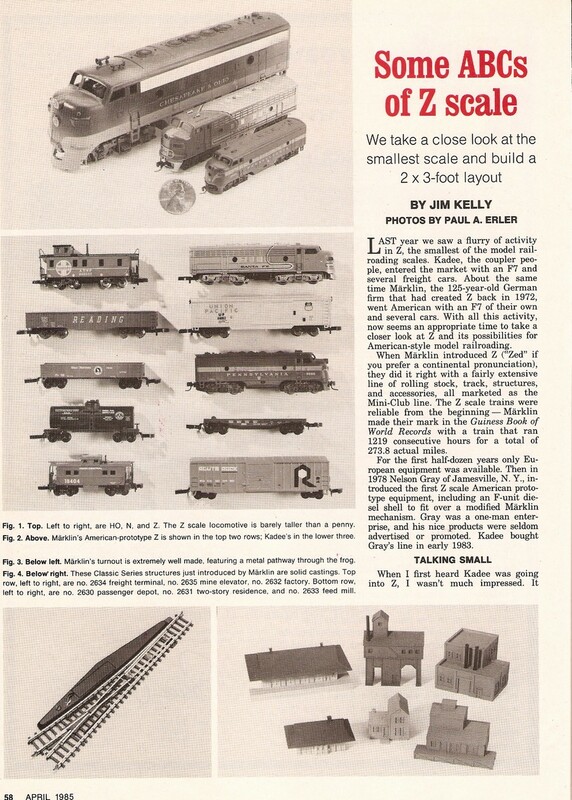 Not surprisingly, this was the last major article on Z Scale which readers of Model Railroader would see for many years to come. And for a pronouncedly extended period of time, nothing moved in Z Scale. Nothing at all - the F7A remained the only motive power available. Whilst Märklin's model was far from convincing in terms of true to prototype scale appearance (Märklin had stretched the F7 body in order to fit an existing European model's chassis), a number of new paint schemes appeared over the years and in 1993 Märklin introduced a B unit, albeit in a permanently coupled A-B-A formation only. Attempts to produce ready-to-run models of other US diesels were made, but the road was long and winding. 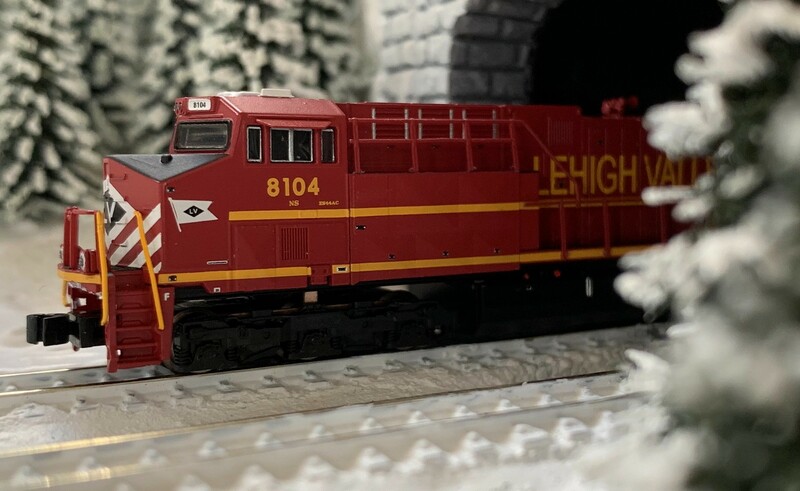 A GP38-2 was introduced by Rogue Locomotive Works (founded in 1997 as Small Scale Works), but the very first hood unit in Z scale encountered various production problems, and in the end only a very limited number of these locomotives actually reached the market and Z scale layouts. But it was a start and RLW tool maker Don Bouchard proved, above all, to the Z scale community as well as to its suppliers at large that, yes, it could be done. Things began to move as the new millenium settled in, although initially this only applied to the upper end of the scale as American Z Lines AZL (born from the ashes of RLW) introduced a stunning brass C44-9W in September 2000. Manufactured by Ajin in Korea in fairly small numbers (500 per one of eight roadnames) their price at the time (USD 550.00) was actually affordable in comparison to brass model imports in larger scales, but obviously still put them outside the regular ready-to-run market. For a couple of years AZL continued to fill the void with select brass models (such as the PA and E8), but the scale as a whole did not receive any true overall boost from these models. 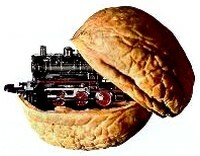 It was not until Micro-Trains and AZL introduced plastic injection models that Z Scale awoke from its general lethargy. MT launched its GP35 in 2006, followed only a few months later by AZL's GP7, which in turn saw MT's GP9 (seen here below the GP35) hot on its heels in early 2007, joined by an SD40-2 (also from Micro-Trains) in 2009. In a flash Z Scale had gone from being a one horse town to actually offering modellers various choices in the motive power division. Z scale kept on moving, and in 2012/13 there was almost an explosion of new motive power. AZL launched its GP38-2 (an improved version of the old RLW model with closer to scale handrails and horns; the body shell still has ROGUE stamped on the inside), a competitively priced entry-level model, it is now available in many paint schemes, with new ones appearing every now and then. In addition to this diesel, AZL launched a high-end limited run brass model of UP's Big Boy 4-8-8-4 steam colossus, joined by a plastic injection Mikado 2-8-2. The introduction of heavyweight passenger coaches (AZL) as well as a multitude of freight models from smaller companies has further enhanced the choice available in Z Scale. New freight car types are also introduced regularly by AZL, with monthly repaints on existing modles coming from Micro-Trains too. Announced for 2012 and ultimately released in 2013, Micro-Trains now offers a retooled F7A body shell which features separate air horns and DIY window glazing. The grinding yet strangely reliable motor setup from the 1980s remains unchanged, but a growing number of never before produced paint schemes are now made available almost every month. Next, a new GP7 and a retooled GP9 alongside a new run of SD70M and SD75i models from AZL were released in the Spring of 2014, with a selection of many different livery variations now offered. 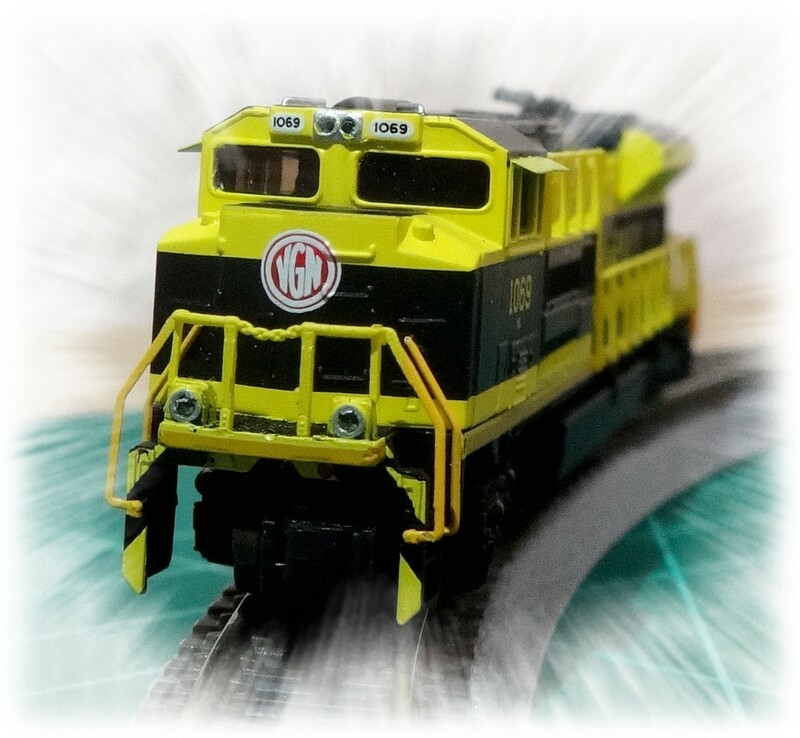 In January 2015 AZL brought another classic locomotive to Z scale in the form of a plastic injection E8A. In a way this release was harking back to the early days of AZL when they had produced a brass E8 locomotive, whilst at the same time illustrating that Z has clearly moved on from the limited brass to the much larger plastic injection market segment. The B-unit followed suit in March 2015. In June 2015 AZL introduced the F3 A-B set (announced at the 2013 National Train Show) which, as with other AZL models, reflects prototypcial differences for various railroads. In January 2016, AZL released yet another new locomotive type, the SD45, including the high-nose version typical for the N&W and Southern as well as their successor Norfolk Southern. Just like the E8, the SD45 had been produced previously in brass, marking yet another example of the move into the general hobbyists' plastic injection market segment. 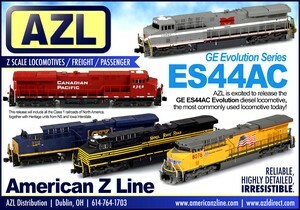 Only three months later, in April 2016, AZL expanded the range of available modern diesel locomotives in Z scale even further by introducing the EMD SD70ACe. Included are a number of Union Pacific and Norfolk Southern "heritage" units, though these models - produced in limited numbers - tended to sell out somewhere between instantly and very fast. In November 2016, AZL brought another important modern locomotive to Z Scale: Amtrak's GE P42 Genesis, which will eventually be released in versions covering all Amtrak Phases I - V including regional and heritage paint schemes along with a Canadian VIA version - all supplemented by appropriate pasenger rolling stock. 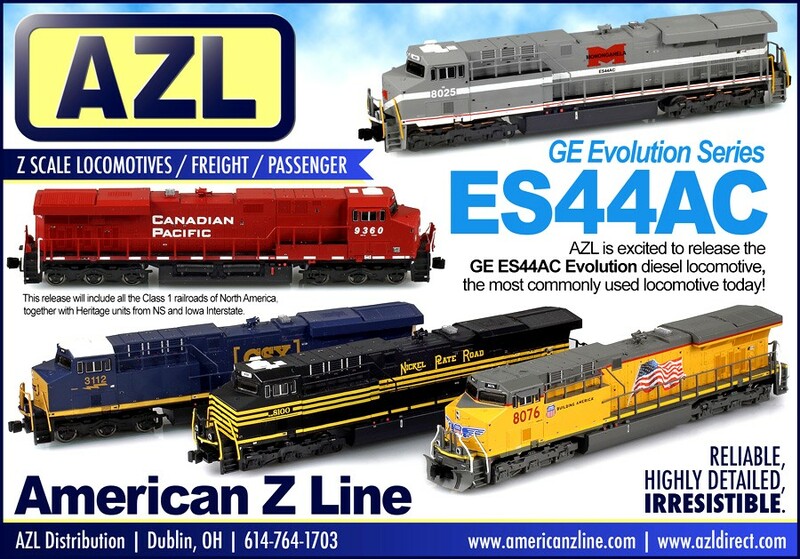 AZL added yet another emblematic locomotive for the modern era modeller in Z Scale in May 2017: GE's Evolution Series ES44AC. Apart from the regular paint schemes of today's big railroads, the model also features Norfolk Southern's heritage units. There used to be a time when the major consequence of choosing a modelling scale would be the availability of ready to run motive power and rolling stock. Those were the days when industry support (i.e. models, track and accessories) was heavily concentrated on HO scale. N and O came a distant second whilst other scales often lived off the happenstance offerings of one or two lone suppliers. Today, this picture has changed a lot if not completely. HO is still the market leader, but over time other scales have caught up in terms of availability of motive power and rolling stock. The small size of Z scale is therefore no longer mirrored by an equally small selection of models, track and accessories. There are, obviously, still a lot of restrictions, but they are no longer "killer obstacles" by definition. And in a world now employing micro-technology routinely in everyday life, the reliability of Z scale models is no longer a question worth pursuing as both track and wheel standards of any Z scale model these days meet the highest standards. Given the traditionally strong position of N Scale in Japan it is perhaps somewhat surprising that Z Scale does not have as long a history in Japan as it does in Europe and the US. 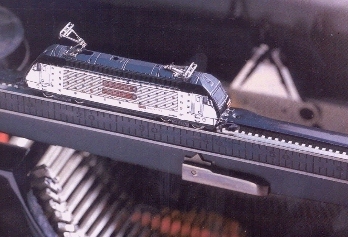 The first Japanese Z scale models were introduced along with a limited range of sectional track in 2006 by a company named RealZJ (which is still active today but now known as Crown). In 2007 Tokyo Mauri launched its ProZ range, and since then a number of different manufacturers (including well-known names such as Tenshodo) have added to the offerings, which are all exclusively Japanese prototype models. Whilst gradually building up a Z scale market, the impact has been very much limited to Japan itself. Quite the opposite is true with regard to the product range offered by Rokuhan, who entered the market in 2008. The fundamental difference was that Rokuhan concentrated on a complete track and controls system which quickly extended even beyond the established Märklin track geometry. Including a moulded ballast base the track looks very much like a smaller cousin of Kato's Unitrack - a reference explicitly made when the German specialist company NOCH started distributing the track system in Europe in early 2011. Rokuhan very quickly established itself as the go to manufacturer for Z scale track, even successfully challenging Märklin on its home turf market. Rokuhan has since built up an amazing range of controllers and structures (including various bridges, buildings as well as a turntable) which is now complemented as of 2013 by a growing selection of motive power and rolling stock as well as the all important scale-entry starter sets. The models are all of Japanese prototype, a clear indication that Rokuhan is seeing its home market as its true base. However, by virtue of its (still expanding) track system and range of controllers (which can be operated both on batteries and mains power) Rokuhan has had a major impact on Z Scale in Europe and the US and continues to do so. The company also maintains a presence in social media, including an active youtube channel where new items are presented in video form in addition to their website. 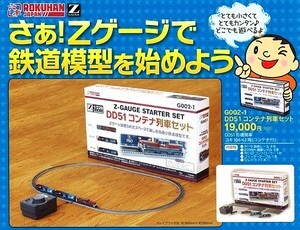 A more detailed account and summary of the history of Japanese Z Scale can be found here.